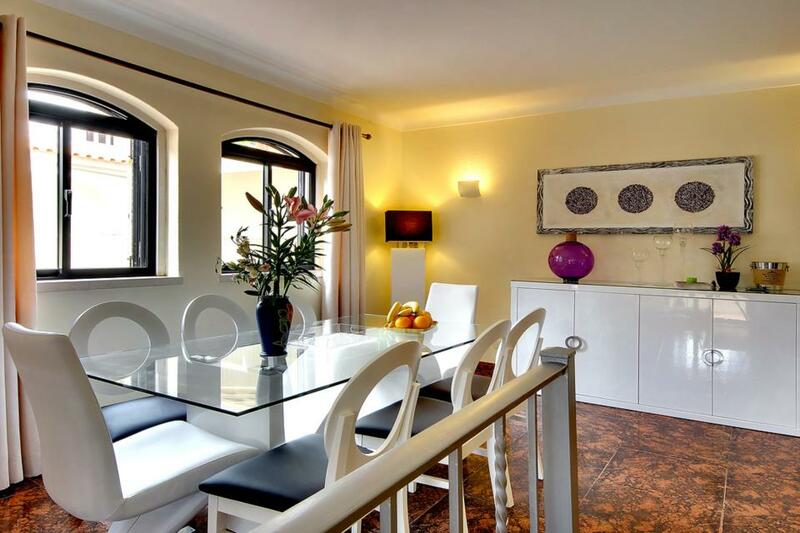 Villa Marquesa is a newly refurbished villa boasting stylishly modern and chic décor throughout. 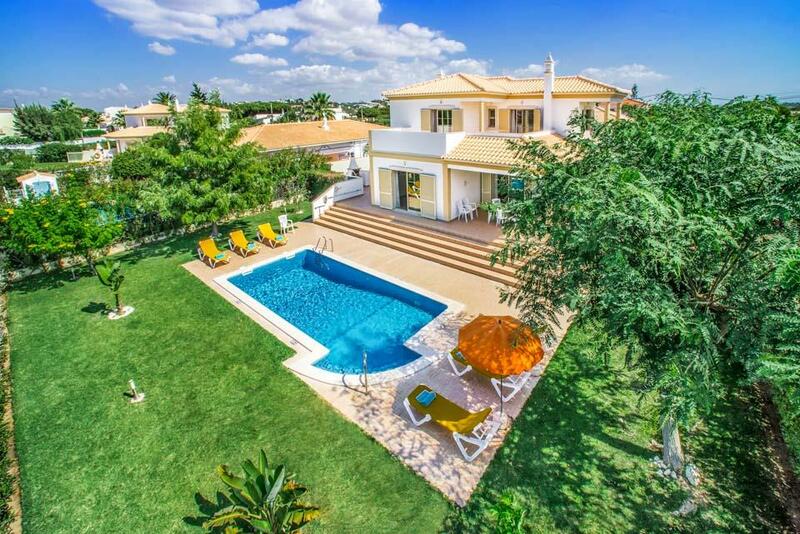 Imagine a gorgeous Portuguese villa, your own, private swimming pool and palm trees swaying in the breeze. All the elements you need for the most perfect holiday in the Algarve. 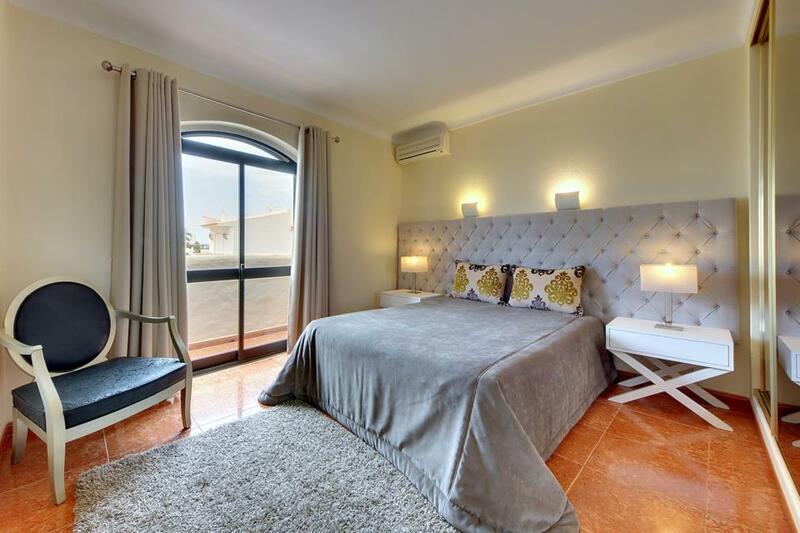 Four-bedroom Villa Marquesa is superbly located less than a ten-minute stroll from the sandy beaches, shops and restaurants in Gale and Lourenco. A sparkling, turquoise pool runs almost the breadth of the villa, bordered by sun loungers and golden bean bags. 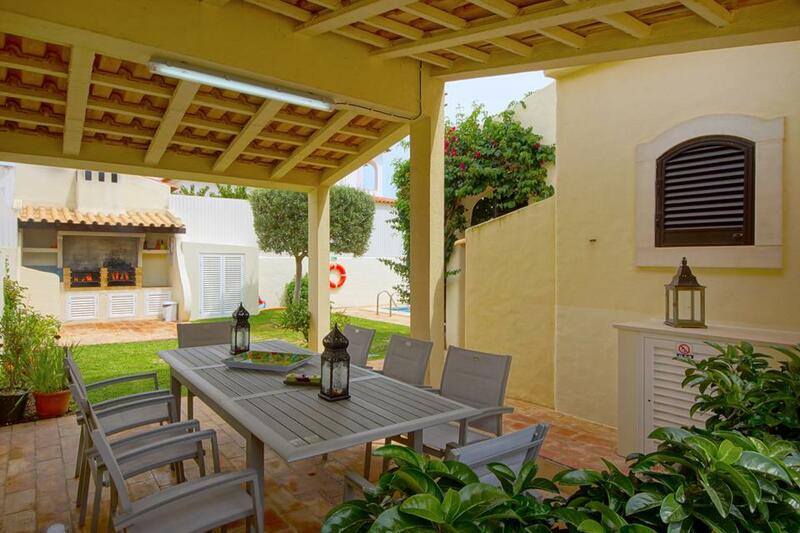 Extending out from the property is a shady pergola, host to an al-fresco dining table and chairs. 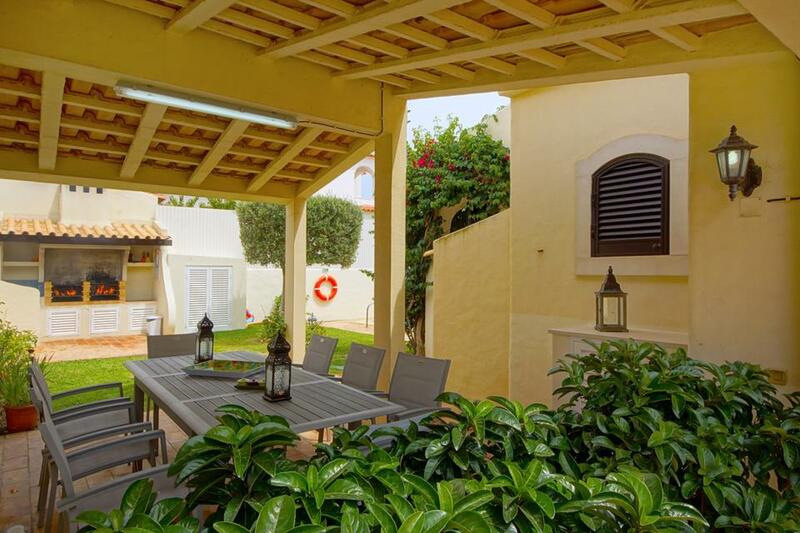 An adjacent open Portuguese BBQ allows you to grill up some tasty kebabs or fresh fish in the garden. 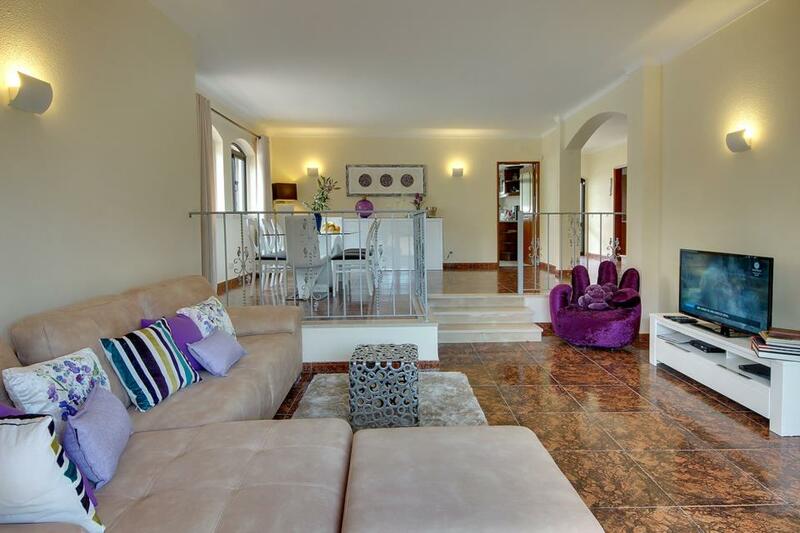 Inside, a split-level living and dining area features a large sink-into sofa and dining area. There are accents of violet in the sheer curtains, scatter cushions and velvet, tub chair. 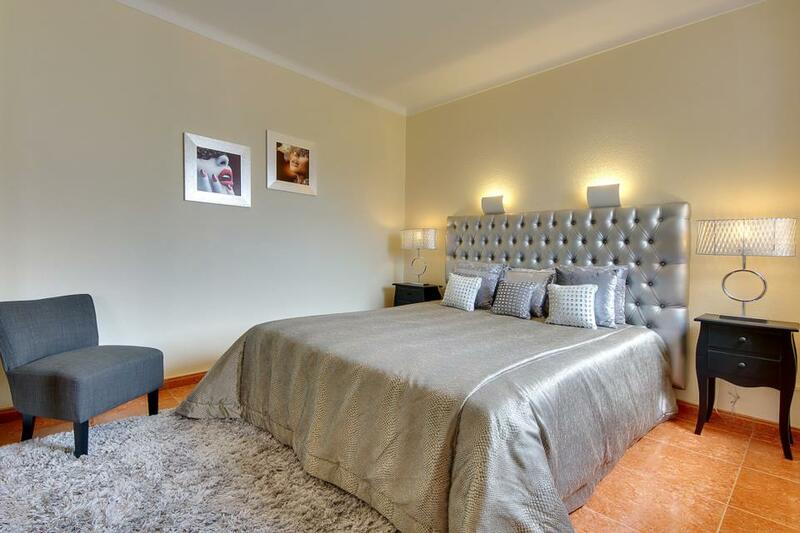 The bedrooms are individually designed with plush furnishings. Sumptuous throws, rugs and dramatic headboards feature in these rooms. 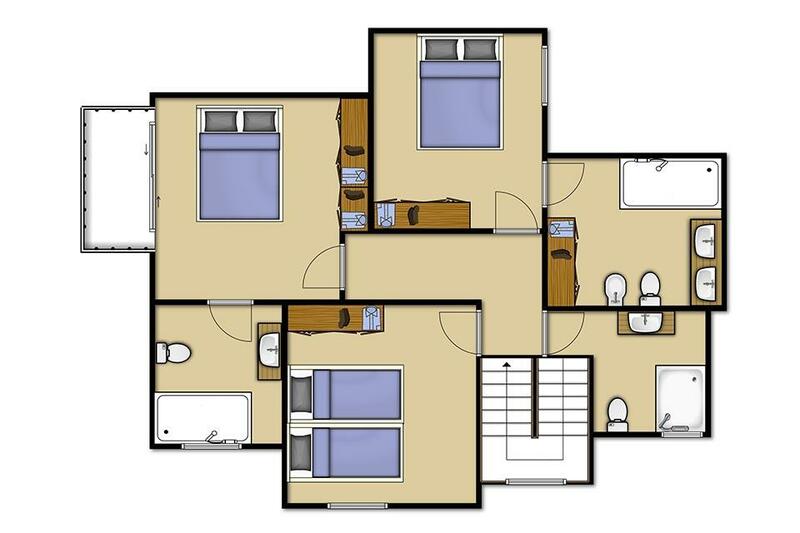 Two double bedrooms are ensuite and the two twin bedrooms also have a bathroom each, so plenty of room for up to eight guests. Gale is famed for beautiful sandy beaches, if you love to sunbathe you’ll be spoilt for choice and if you’re travelling with children, you’re within easy reach of Blue Flag shores. 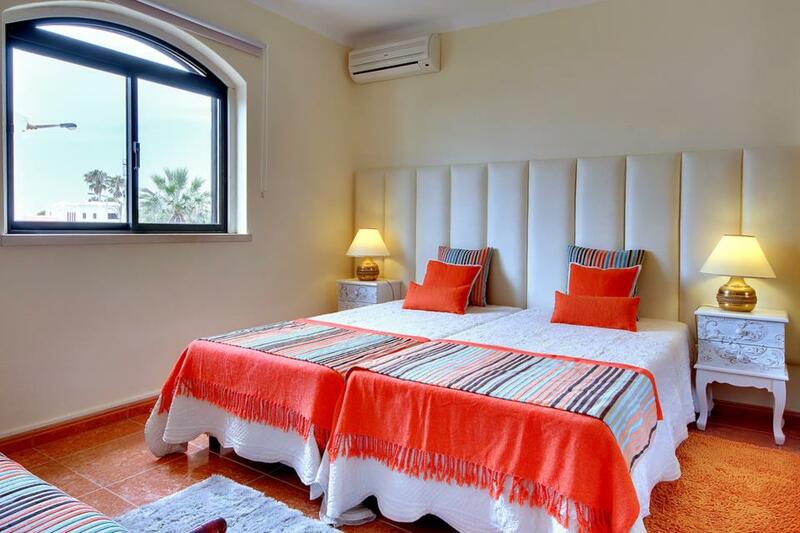 Villa Marquesa is over two levels, with the entirety including 5 steps up and down to the front door, which measures 86cm, the ground floor has 3 internal steps in and around this level, the ground floor level comprise of one bedroom with door width of 69cm and the separate bathroom of 69cm. The approach to the pool area includes one step down to the area, entry into the pool is only via a ladder at the shallow end which is 160cm there is no ladder to use at the deep end which is 210cm. Villa very good for beaches, restaurants and an excellent supermarket. 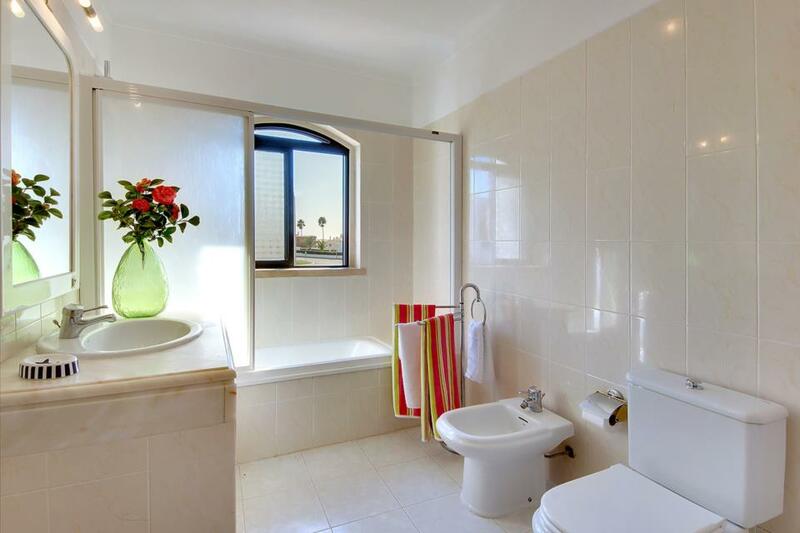 Downside is it is surrounded by other villas and limited privacy. The Villa and pool and outside area were beautifully clean. 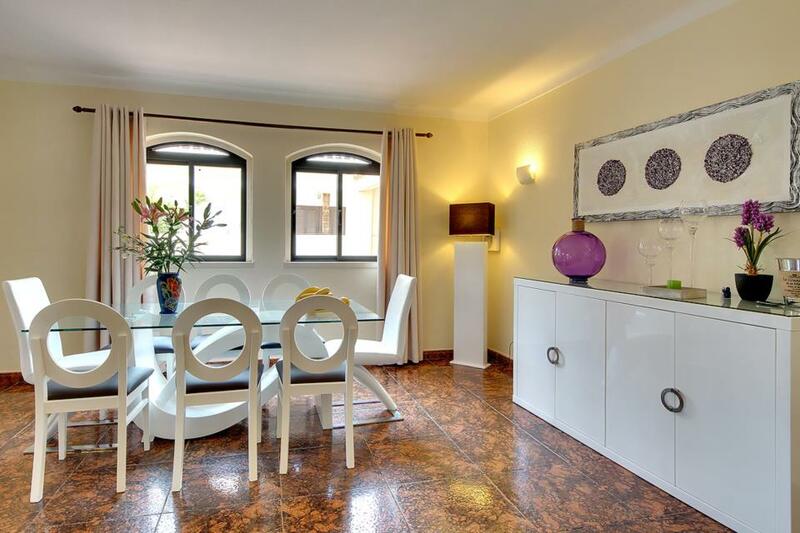 short walk to food shops, beach and restaurants. Overall a lovely Villa we would be happy to go back to. The villa was lovely. 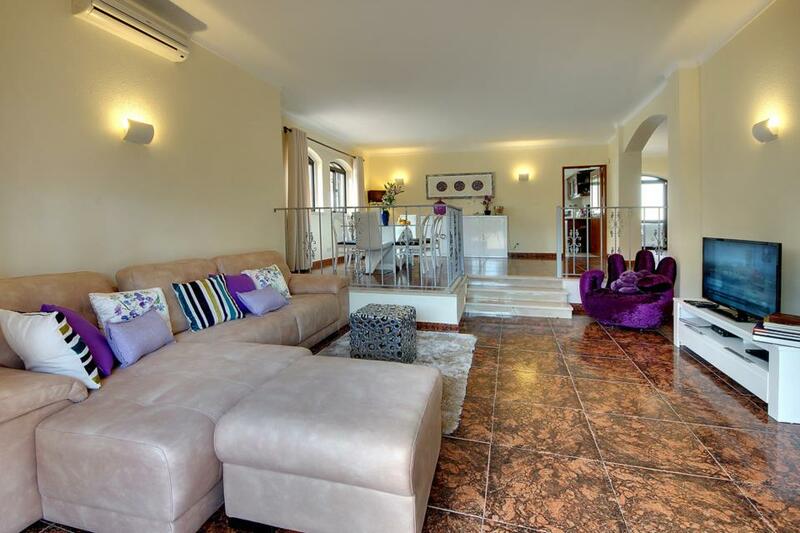 It was in a good location, close to both Lourenco beach and Gale beach. We had a really good holiday. 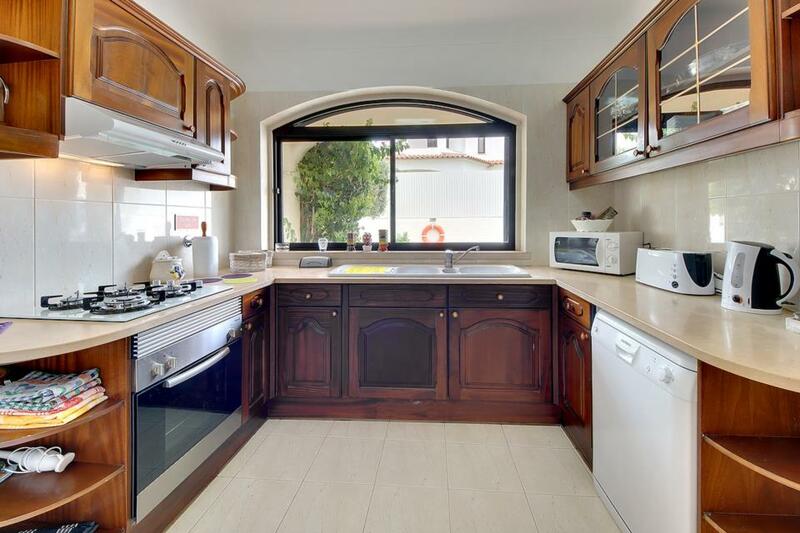 Spotlessly clean; fantastic location, central to beaches, supermarket, cafes and bars. Exceeded all expectations. 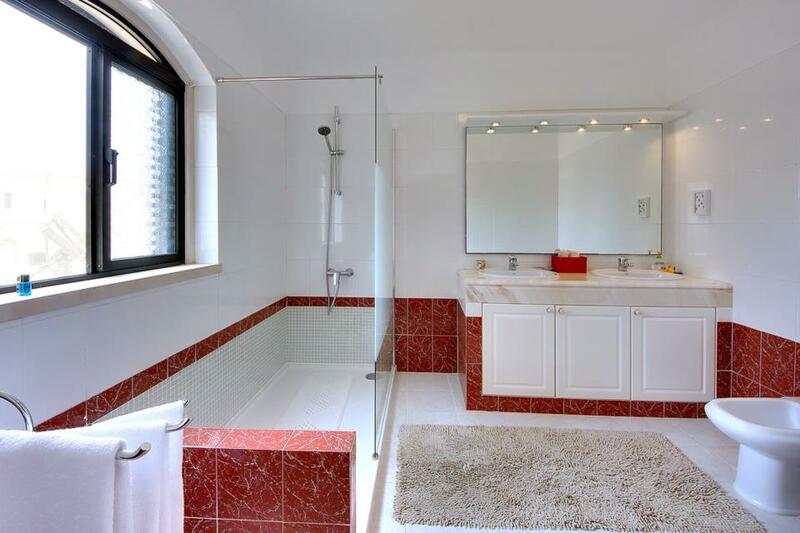 Very clean and spacious villa. The area was very quiet with nearby beaches that were clean and very pretty. Local Supermarkets and beachside restaurants were really good. Villa was 1st class. 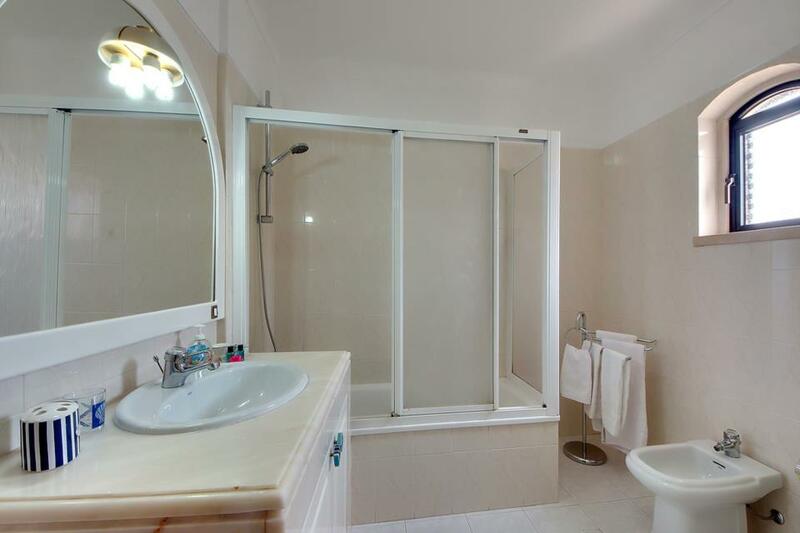 Location excellent, the beach is a 5 minute walk. 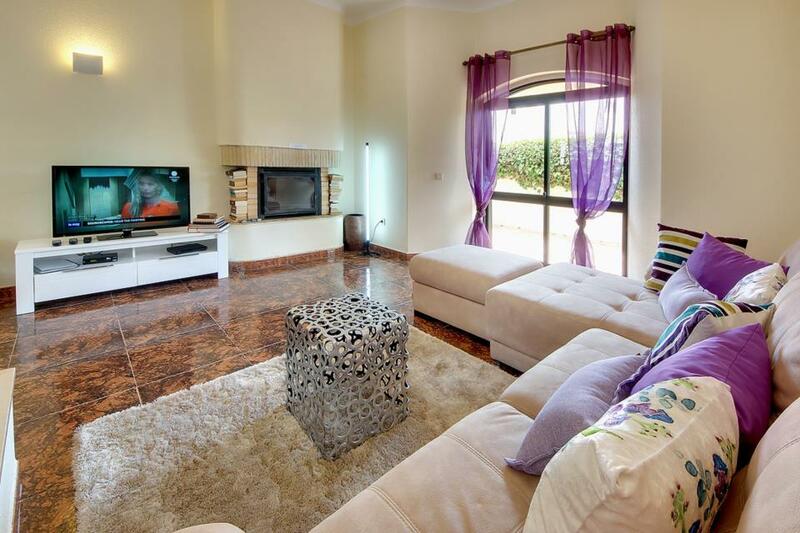 Couldn't fault the villa, it was really lovely - had everything we needed and great location. Gale has some great beaches and has a quieter pace, great for those looking for a relaxed, quiet place but is not far from Albufeira old town (about 7kms and easily reached by taxi or bus) for a more lively resort. 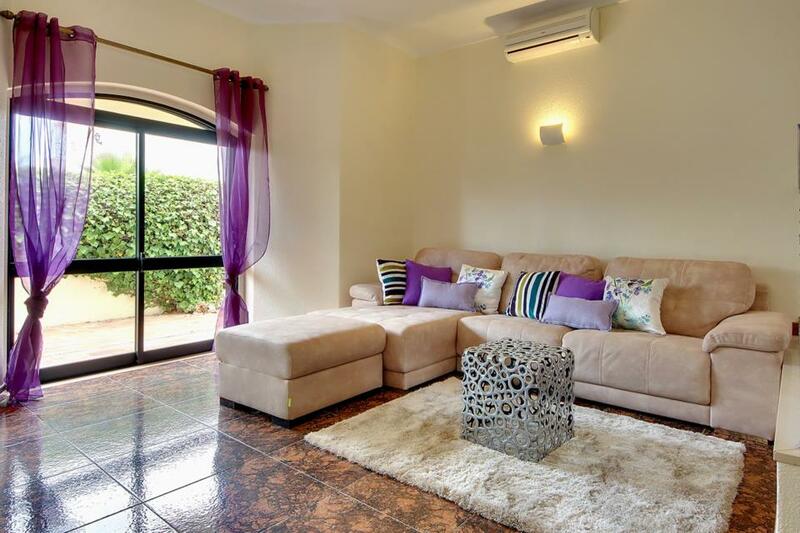 Very clean, spacious and nicely furnished villa. 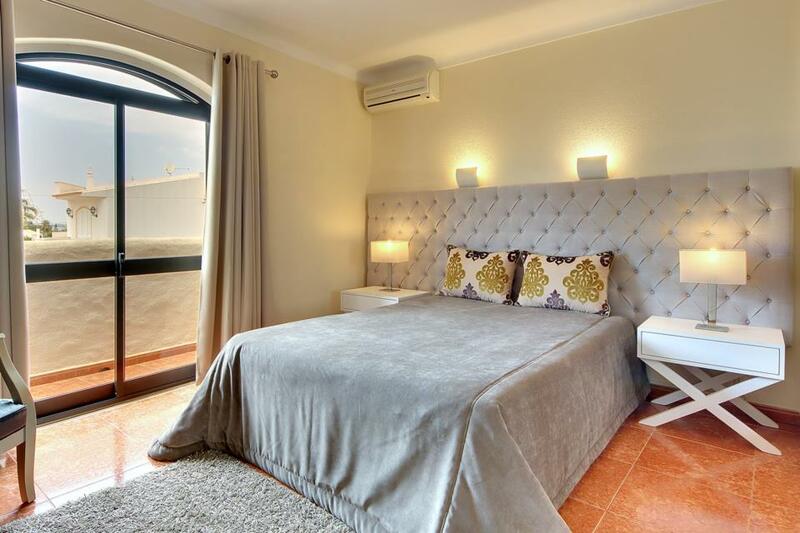 Everything you need for a villa holiday provided. Great location, nice pool and garden area. 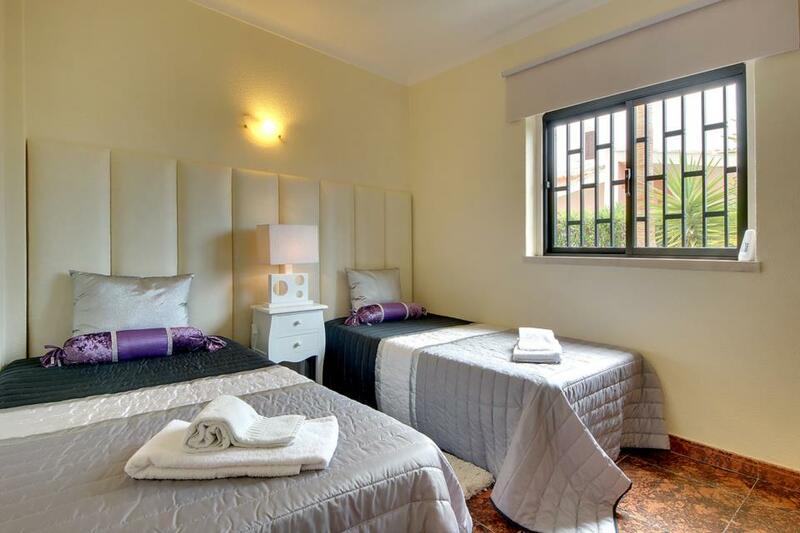 Easy walking distance to beaches, supermarket and a few restaurants. There is a taxi rank 10 minutes walk away if you don't want to drive. 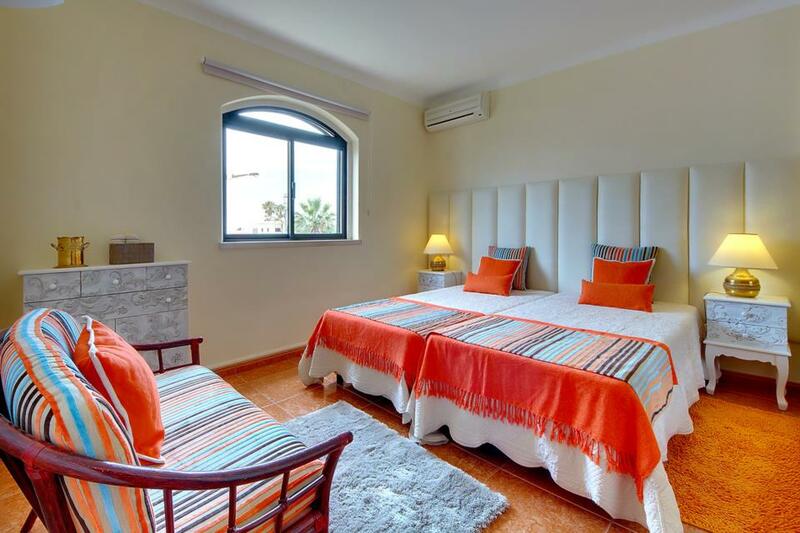 The Villa was very spacious, the bedrooms were very comfortable, it is situated in a good location. 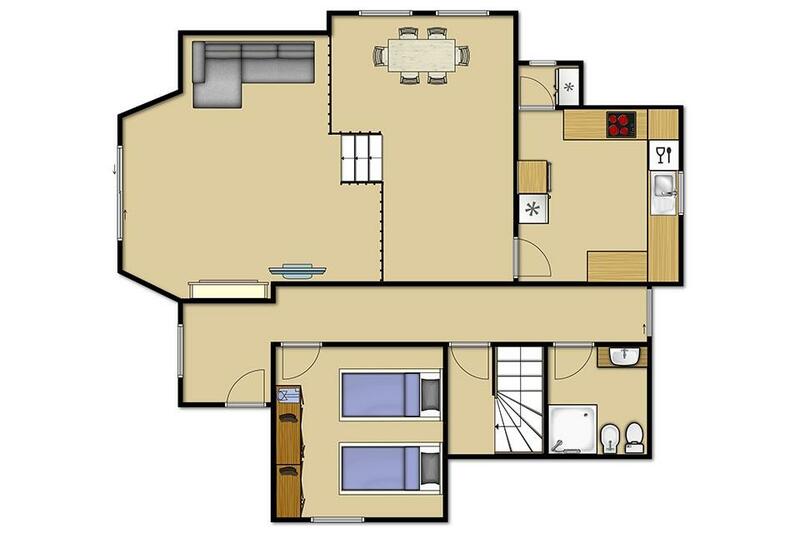 The only negatives, the kitchen is slightly small but who wants to spend hours in the kitchen on holiday, also there are four bedrooms that can sleep 8 people but I would suggest the sofa can only fit 3 or 4 people.